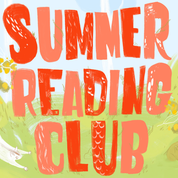 Register for Summer Reading Club from December through to January at any branch – Blayney, Canowindra, Cowra, Forbes, Manildra Molong and Orange. AND register online. This year’s theme is Curious Creatures. Read books, get rewards! Read 10 books to receive a rewards card and go in the draw for major prizes. For children, pre-school to highschool. Get a bookmark with registration. Read 10 books and tick your bookmark off. Every ten books read will receive a rewards card and be entered into the draw for prizes. And join in the activities online for pre-schoolers, primary students and highschoolers. There is no cost to participate in the Summer Reading Club. Enjoy!